Herniated disc, also known as “slipped disc,” “herniated disc,” or a “ruptured disc”, is a common spinal condition in the United States. The good news, however, is that herniated and bulging discs can be treated with the right combination of nonsurgical treatment such as chiropractic care, providing relief from symptoms in as little as one visit. At Zaker Chiropractic, we treat the underlying cause for herniated disc pain. Our chiropractic team can address your bulging disc with nonsurgical, drug-free options to promote healing and alleviate your pain. How does disc herniation occur? The disks between the vertebrate and your spine are made up of a tough outer ring and a soft jelly-like substance in the middle. 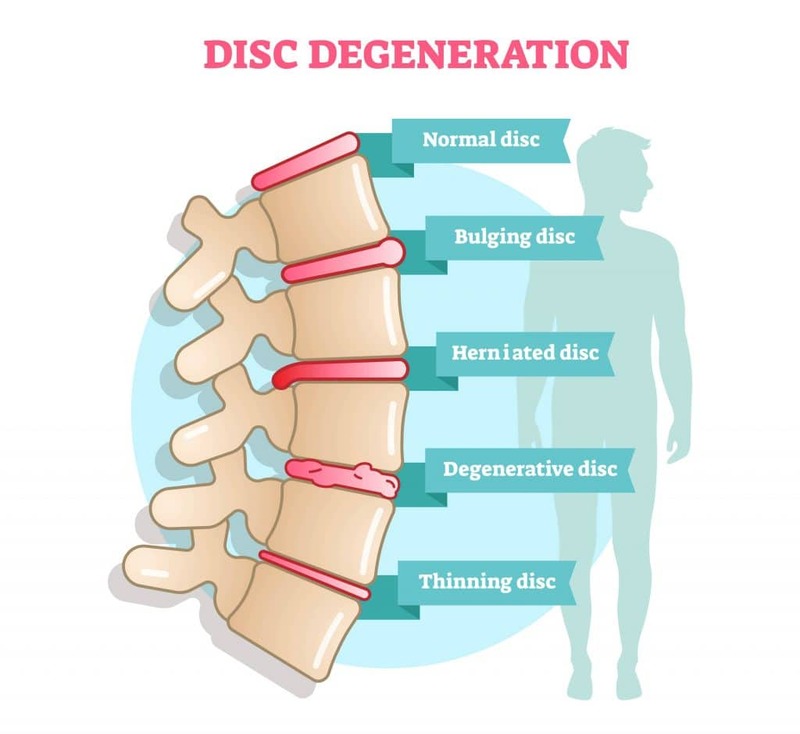 A herniated disc occurs when the outer ring in the disk ruptures so that the soft “jelly”-like substance leaks and presses against the nerve tissue, causing pain, weakness and other symptoms. This tear can be due to age, an injury involving twisting or turning, or lifting a heavy object. A herniated disc most commonly occurs in the lower back (lumbar spine) area, but can also occur in your neck (cervical spine) The lower back is one of the more common areas for a slipped disc. For herniated discs in the neck, symptoms include numbness, tingling, weakness, or pain in the shoulder, neck, arm, or hand. Symptoms often increase or decrease with neck motion. Why Visit Our Doctors For Herniated Disc Treatment? The best way to tell if you have a ruptured disc is to see a doctor in your area that specializes in herniated disc pain relief. If you live in the Newport Beach, Torrance or San Pedro area, we can take care of you. Our chiropractors will take a complete medical history and perform a thorough physical examination to find the source of your pain. We understand the pain associated with slipped discs and our immediate goal is to provide you with prompt pain relief and bring you back to optimal health. Your symptoms may be different or include a combination of a few. Our chiropractors will listen to your concerns and will develop a bulging disc or herniated disc treatment plan to ease your pain. By reducing the pressure on the nerves by re-aligning the vertebrae, you will be able to regain your strength. Manipulations- Our number one technique is to use our gentle approach to adjust your vertebrae. We identify the area that is out of alignment and apply gentle pressure to slip the vertebrae into place and lessen your pain. This takes pressure off the disc and may speed up your body's ability to absorb the disc. MUA - Manipulation Under Anesthesia - is another approach our chiropractors use to eliminate pain from a herniated disc. We use a mild anesthesia to relax your muscles that may be resisting the adjustments. MUA is an ideal alternative to surgery for a herniated disc. Spinal Decompression- We use a spinal decompression machine to reduce the pressure on your discs and increase the space between your vertebrae. The table places you in an anti-gravity like state so your spine reabsorbs the herniated disc and your pain is reduced. If you're looking for slipped disc pain relief in Torrance, Newport Beach, or San Pedro, contact one of 3 chiropractic locations nearest you to schedule an appointment. We are proud to offer same-day appointments when possible, and even take walk-ins, so come on by--we look forward to working with you!